← Is your GMAIL account filling up? Months and months ago, I put myself on the list to be considered for Google Glass. Google Glass is a wearable computer with an optical head-mounted display (OHMD) that is being developed by Google in the Project Glass research and development project, with a mission of producing a mass-market ubiquitous computer. Google Glass displays information in a smartphone-like hands-free format, that can communicate with the Internet via natural language voice commands. If any of you want to try it, let me know…. 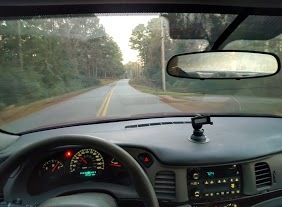 Posted on December 11, 2013, in Computers, Personal and tagged Glass, google. Bookmark the permalink. 1 Comment. Arrrgh! My friend is becoming a . . . BORG!!!! !